Public swimming is available throughout the day. Please check our weekly swim timetable before visiting to avoid the disappointment of one of our pools being unavailable at the time you wish to swim. From the 1st February, we will no longer be providing customers with the option to hire padlocks for our lockers at Leisure at Cheltenham. We will continue to sell padlocks, customers can also purchase padlocks from other stores. We recommend purchasing a combination padlock up to 8mm in diameter. Leisure at Cheltenham has four pools, including our new children’s Splash Pad and a dedicated diving pool. 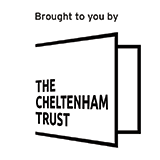 We accept all swimming costumes however we cannot permit trousers or t-shirts to be worn in the pool unless previously authorised by a member of the Leisure at Cheltenham management team. We offer a range of swimming lessons, suitable for pre-school children through to adult beginners and improvers. See the ‘Swim Courses Information’ below for more details. Our new indoor aquatic play zone is perfect for young children and their parents. It features a number of water play activities including slides, fountains and toys and is suitable for children aged five years and under. Children up to 8 years of age are welcome to use it with an accompanying adult. The Splash Pad is heated to between 30 – 31 degrees Celsius. There is no need to book the Splash Pad in advance. The Splash Pad is open every day from 9:00am until 5:00pm. The main pool at Leisure at Cheltenham is 33m x 12.8m and can have up to six single lanes. The shallow end is 1.3m in depth and the deep end 2.5m in depth. The main pool has a pneumatic boom that can split the pool into a 25m pool and a smaller 7m area used for swimming lessons. The average water temperature of the main pool temperature is 28.5 degrees Celsius. There is a hoist available to provide access to the pool for customers with reduced mobility. We have a range of activities on offer, including swimming lessons, educational lessons and family swim sessions. We’re proud to welcome Cheltenham Swimming & Waterpolo Club, Cheltenham Tri- club and Cotswold Water Canoe Club to make use of our facilities. Our main pool has a spectator gallery with 438 seats. The main pool can be split into six single lanes and we operate a slow, medium and fast system to accommodate all swimming abilities. We also offer a lane swimming session for over 50s from 3pm – 3.45pm, Monday to Friday. The teaching pool is 23.8m x 9.65m. The shallow end is 0.3m in depth and the deep end is 1.2m in depth. The average water temperature of the teaching pool is 30.5 degrees Celsius. We offer s range of activities and lessons in our teaching pool, including aqua aerobics, swimming lessons, dedicated swim sessions for children and adults with disabilities and family swimming. There is a spectator gallery with 46 seats. The diving pool is 12.8m x 12.8m with the depth of 4m. The diving pool has four diving boards: two x 1m spring boards, a 3m spring board and a 5m platform. Please be aware that customers using the diving boards must be able to swim unassisted. The average pool temperature of the diving pool is 28.5 degrees Celsius. All of the pools at Leisure at Cheltenham are supervised by a qualified lifeguard. We offer designated swimming times for parents & toddlers and for families with children under the age of five years old. Check the swim timetable for session times. Family fun We have a family fun swim session every Saturday and Sunday. Floats and toys are put out during this session – a really fun way to enjoy swimming with the family! Whether you’re introducing your child to the water for the first time, or helping them gain confidence and learn to swim, these sessions offer a quieter environment for under 5s in the teaching pool. Parent & toddler and family fun sessions run weekly, for times please visit our timetables tab. Up to two children aged 0 – 5 years can swim with one adult. These sessions are not suitable for children over the age of five. Indulge yourself in our relaxing health spa. We have a jacuzzi, steam room, sauna and relaxation area. Spa access is included in our membership package and is also available on a pay as you go basis for those aged 18 and over. To access the spa please visit the customer service desk to receive the current door entry code. The diving pool is 12.8m x 12.8m with a depth of 4m. The diving pool has four diving boards: two 1m springboards, a 3m springboard and a 5m platform. Unless required for a competition or private hire booking, only one 1m spring board will be in use. Access to the diving boards and diving pool is included in the cost of swimming entry. Please check the timetable before planning your visit to ensure the diving facilities are available for your chosen session. You can use the diving boards if you are a competent swimmer. Adult swimming: from £4.20 (up to five children can swim for free when accompanied by a paying adult). Junior swimming: £2.80. Off peak swimming (8.30am – 5pm weekdays) is from £1.70. You must not wear goggles when jumping off the boards. Once you have entered the water exit quickly and safely. Do not stand on the back of the boards while another diver is jumping. Somersaults, backward dives, spins and handstand dives are only allowed during adult dive sessions.